Please join us at Collective Health for a panel conversation on Designing for Healthcare, moderated by Christina Beard, Design Director of Member Experience at Collective Health. We'll cover topics like designing in a regulated space, scaling culture, and ensuring high product quality. 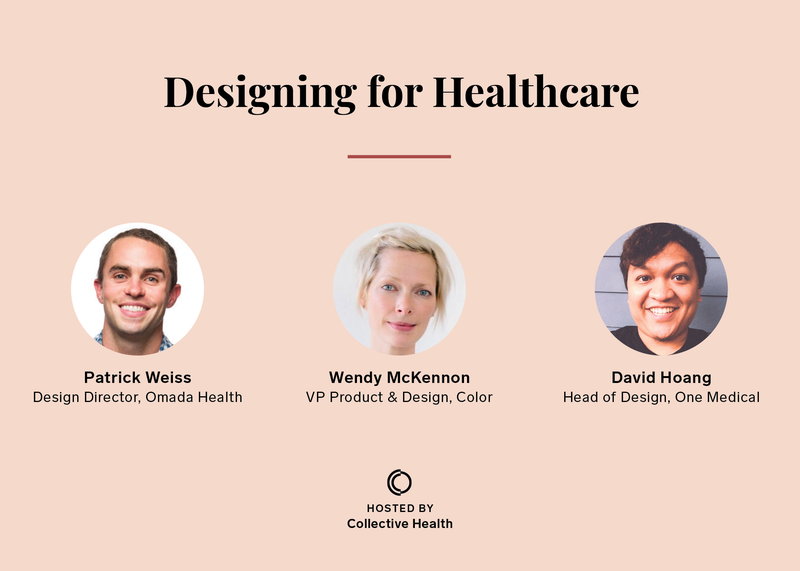 We're excited to invite three design powerhouses to the stage: Wendy McKennon, VP of Product and Design at Color, David Hoang, Head of Design at One Medical, and Patrick Weiss, Design Director at Omada.